I Love My Near Infrared Sauna! 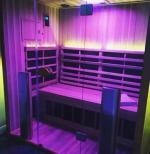 I own a near infrared sauna and I LOVE IT!. I don't see them around as much and I'm not sure why that is but I can say that it is a very, very helpful health tool. I've had it for about 9 months and I use it 5x a week. My skin looks great, my back is pain free, my head is clear and I definitely have way more energy. 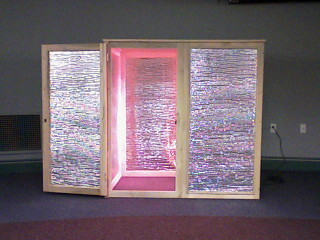 This is the kind of sauna made by Dr. Larry Wilson. I also like that the sauna was made by a tiny family business in Vermont. All of it is made in the US and not in China, like far infrared saunas. It's not the most deluxe model, but I only paid $799 for it and that included shipping. It was worth every penny and then some. The company is called Long Life Sauna (I think).